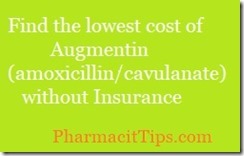 The cost of Augmentin or the generic amoxicilin/clavulanate can be expensive… costing $40 dollars or more for the average prescription. This penicillin antibiotic is useful in treating many infections, the standard adult dose is available in 500 mg and 875mg tablets. 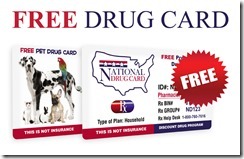 Use my discount prescription price checker to see how much you can save. If you find a good price, print the card or screen capture it and take it to the pharmacy. If your doctor believes you have an infection that requires an antibiotic like Augmentin, be sure you find a fair price. Always take the prescription as prescribed by your healthcare provider, and contact them if you experience side effects or any other reactions. Always talk to your doctor or pharmacist if you medication is too expensive, they may be able to find alternatives that fit your budget.